Everyone's Sandy at the Beach. Send Your Kids to the Beach for Less than $10! A Christmas trip to the beach may not be in the cards for your family, but that doesn’t mean you can’t send your child on a refreshing mind vacation! 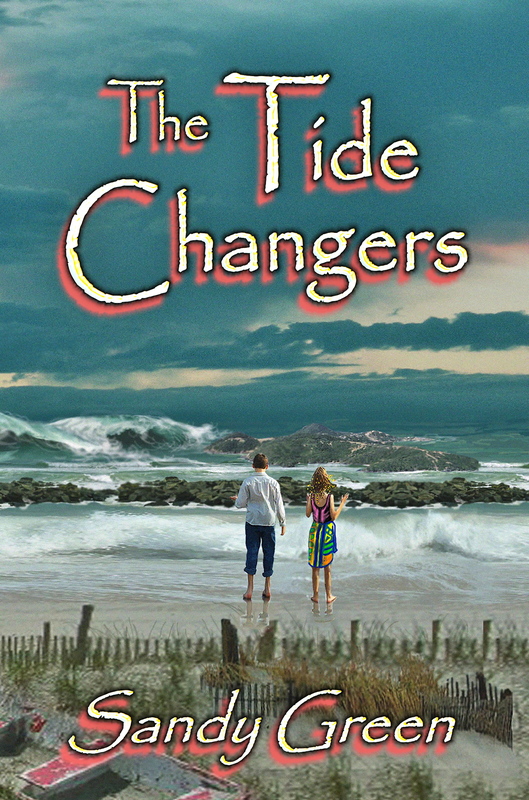 THE TIDE CHANGERS (Penumbra Publishing, 2011) is about thirteen-year-old Ford who overcomes his fear of the water after losing his father in a scuba diving accident and discovers a startling secret about himself and his sister. Legends of underwater people and chilling stories of sea monsters drive Ford and his sister to reveal the truth about the disappearance of their father and what really lies in the ocean depths. At 127 pages, The Tide Changers is an undersea adventure for children ages 8-13 and a great choice for summer (and winter) reading! In a seaside town, a fourteen-year-old boy overcomes his fears of drowning and loss in order to save his missing father. In addition to preventing a cataclysmic disaster, he enables his sister to fulfill her own destiny! This entry was posted in Authors, Books, Cape May, NJ, Holidays, Photos, Relaxation, The Tide Changers, Writing and tagged beach reads, Christmas gifts for children, MG books, Penumbra Publishing, The Tide Changers. Bookmark the permalink.